A well grilled burger is a thing of beauty. 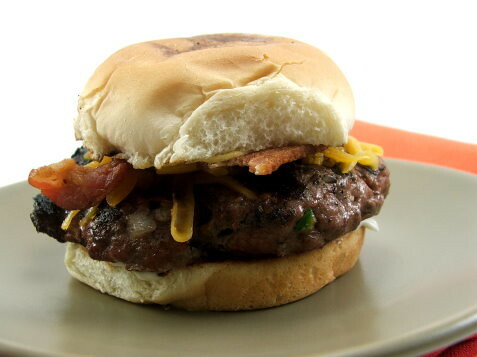 Add jalapenos, sharp cheddar cheese and thick cut bacon and it is the stuff of dreams. I have a few requirements for a good burger. 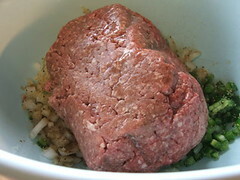 It must be made with fairly lean meat (around 90%), it must have salt and pepper, and it must remain moist after grilling, even if cooked to well-done. The first two requirements are fairly straight forward, but the last can be tricky. 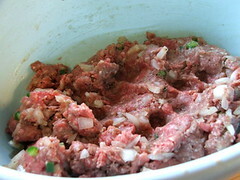 My trick to moist burgers is adding chopped onion to the meat. It is a really easy step that adds not only moisture but a lot of flavor. If we are adding onions, we may as well add some finely diced jalapeno as well, because onion and beef play so nicely with spicy peppers! 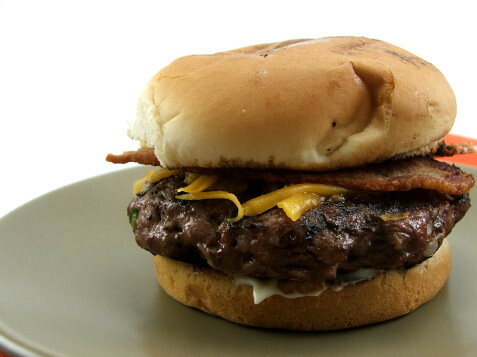 I like to add the jalapenos to the patty, rather than putting slices on the cooked patty, because I like the subtle flavor and spicy kick the pepper adds in the meat. 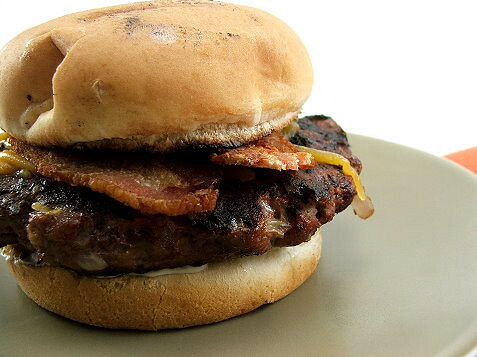 By letting the meat chill for 30 minutes before grilling gives the peppers a chance to flavor the whole burger. Good stuff! 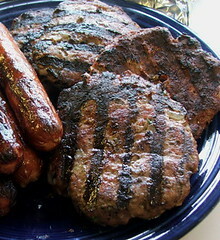 Heat your grill and spray the grate with non-stick spray. 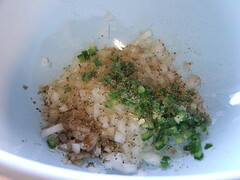 Mix the jalapenos, onions, salt, and pepper in a bowl. 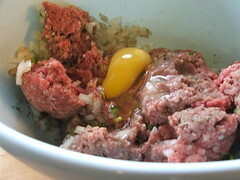 Add in the ground meat and the egg and mix until the onions and jalapenos are evenly distributed. Form into four even patties and chill for 30 minutes. 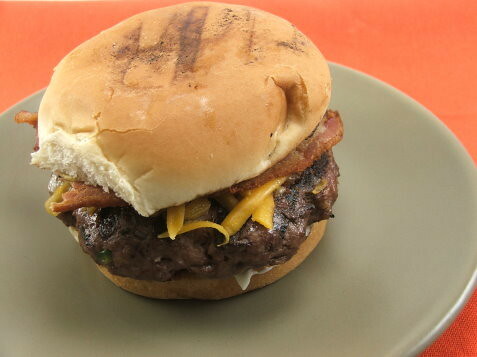 Serve with cheese, bacon, and condiments of your choice.